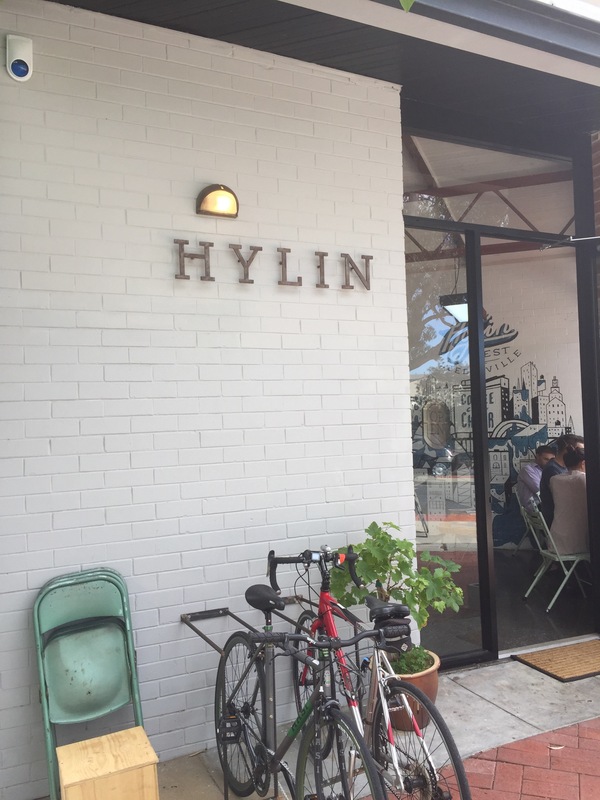 If you’re looking for the latest and greatest venue to hit the coffee scene you’ll find it at Hylin West Leederville. 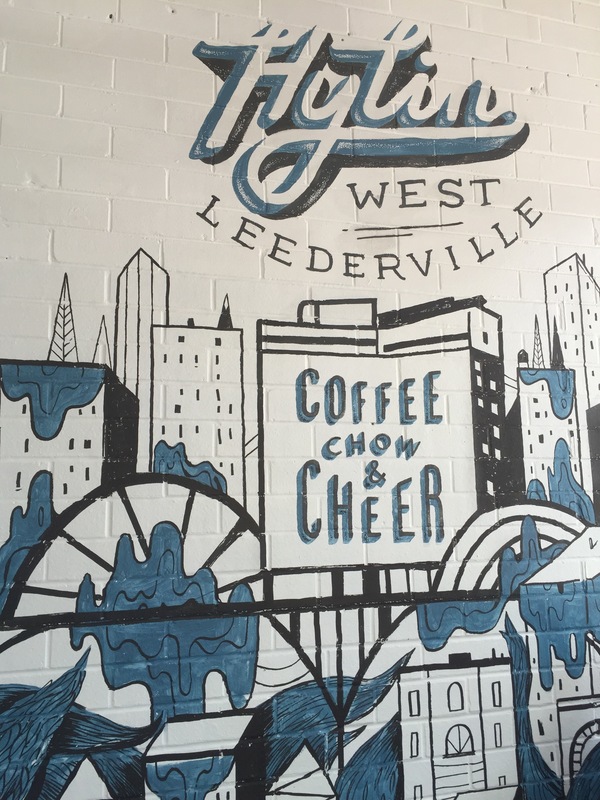 The space is open and refreshing with a definite hipster vibe and some awesome wall art. 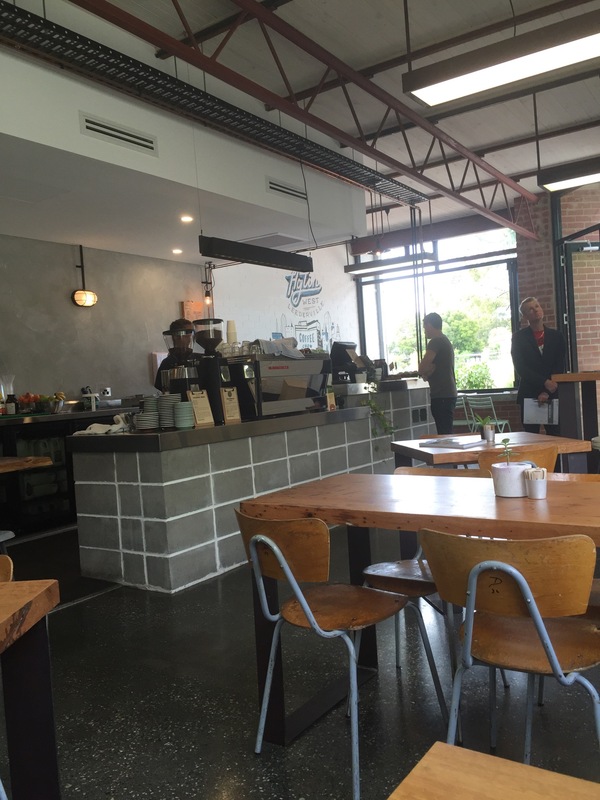 You’ll need to grab a menu and place your order at the counter. The menu is mostly light options at the moment with some tempting treats to be found on the counter. 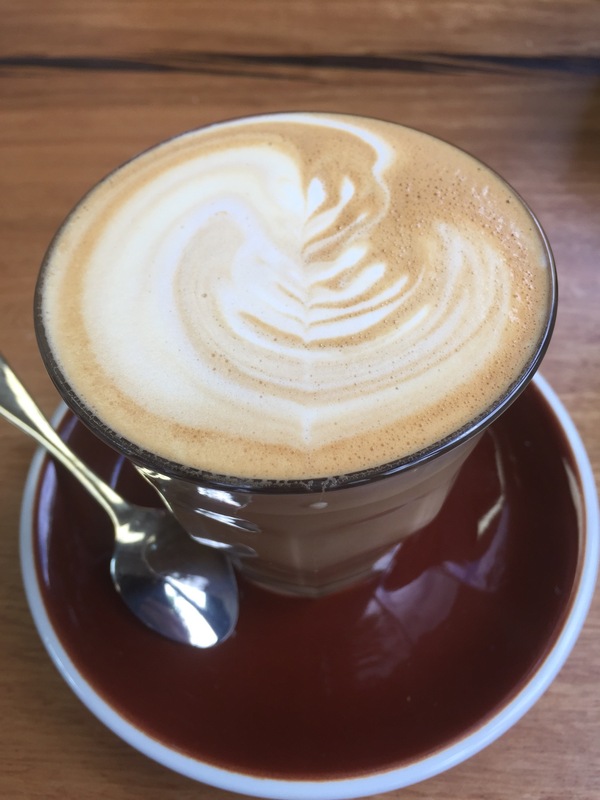 Hylin use Micrology coffee beans and serve a rich and creamy brew at a good temperature. We would certainly go back for more! Our first dish was a museli with natural yogurt. 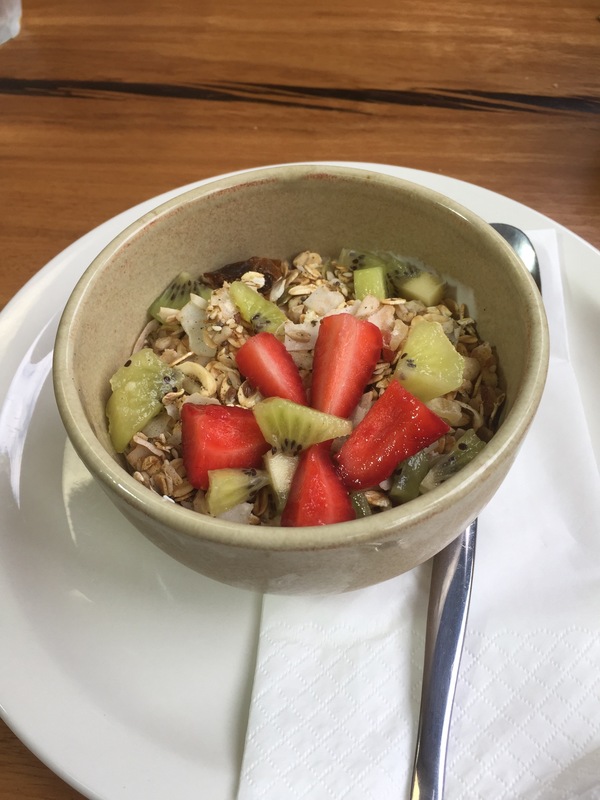 It was presented beautifully with fruit, coconut shavings and museli atop the yogurt. It had s good crunch but for the amount of yogurt more museli was necessary. This was a healthy, light and refreshing breakfast. 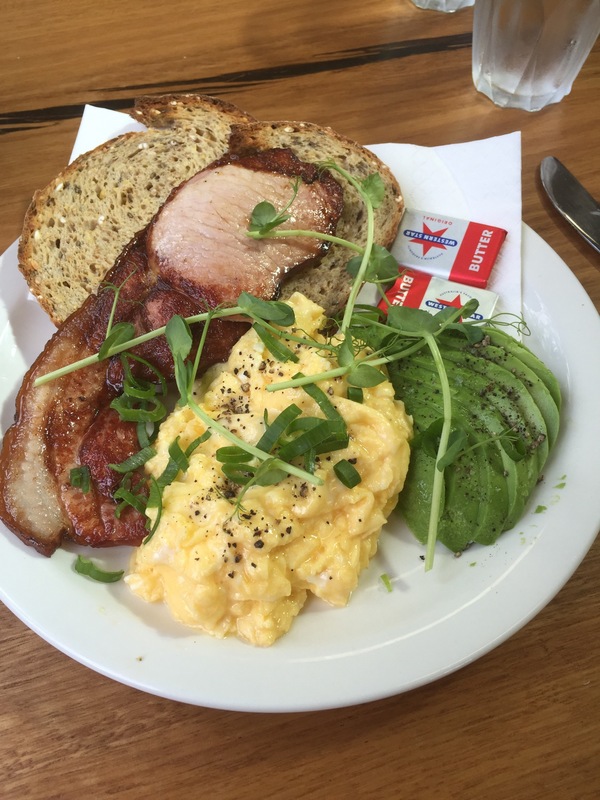 We also ordered the scrambled eggs on toast to which we added bacon and avocado. It was served on a nice multigrain toast with creamy and a little cheesy eggs. The bacon was an absolute winner, delicious, thick, crispy, smoky and utterly satisfying. The range at Hylin may still be small but what they do they do well, and their architecturally designed building just adds to the appeal. Plus you may have spotted something special in the Inside Cover of late, cronuts! 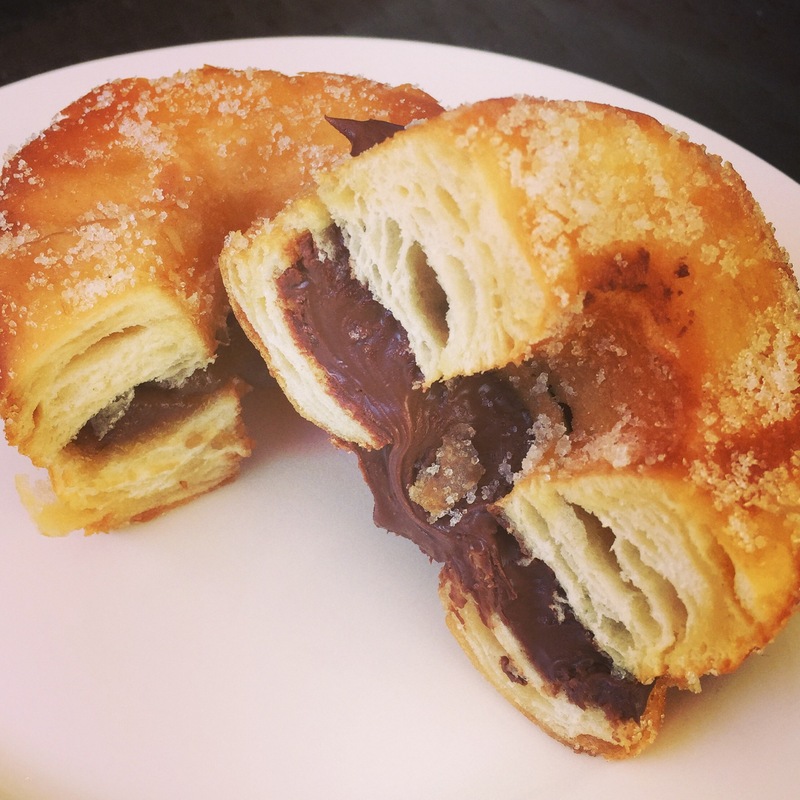 We’ve tried the nutella and salted caramel and can guarantee this cross between a donut and a croissant is indeed as delicious as it sounds, don’t believe us? Go try one for yourself!